Buenos Aires, Argentina – November 9, 2018 — True to the innovative spirit of LVMH, Chandon Argentina – first home of Moët & Chandon outside France – pursues its digital transformation with Genero Mobile. Mobile analytics saves our winemakers and vineyard managers a tremendous amount of time and admin. Likewise, Genero Mobile saved us a huge amount of time. We developed for Android handsets, but are glad to know it will run on iOS too unchanged. 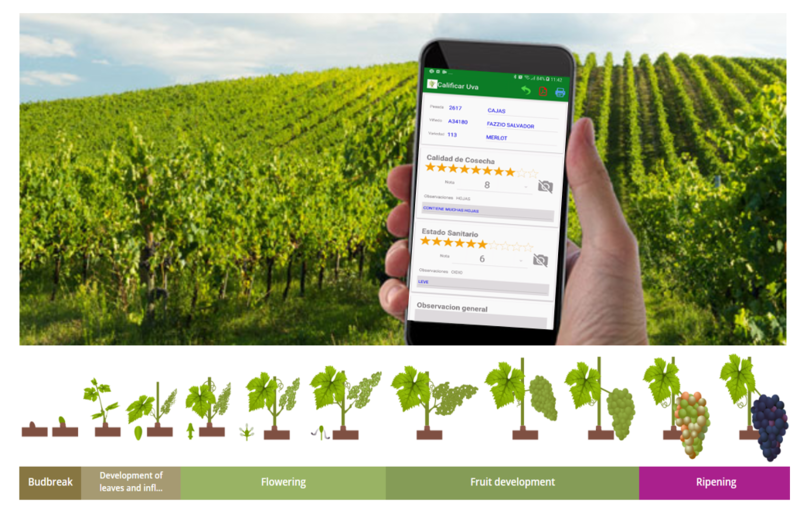 This new analytics app augments the existing Genero ERP solution by enabling its winemakers to track every step of its “precision winemaking” process – from the vine to the bottle. 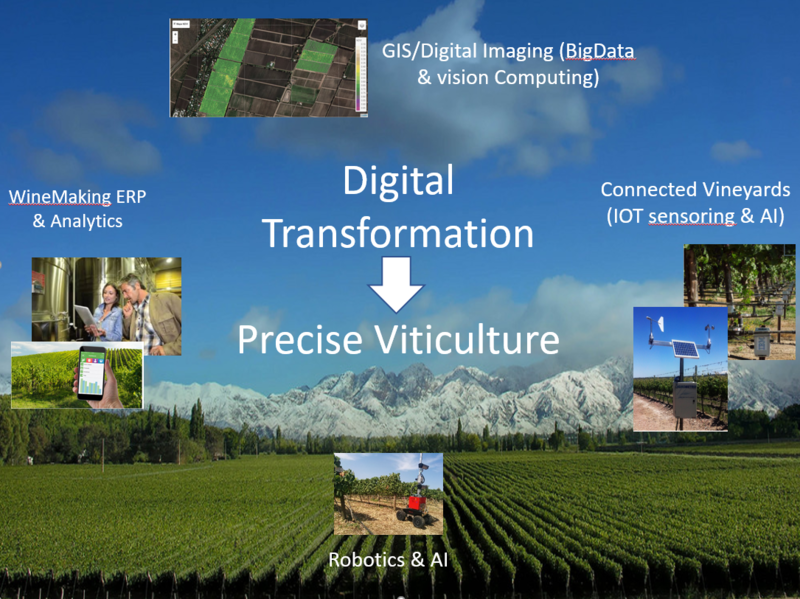 Chandon’s team is now digitalizing key vineyard data in real-time, which it monitors with Geneo Mobile through in-situ ‘Internet of Things’ (IoT) sensors. These sensors track complex data such as soil humidity and acidity captured at the foot of each vine. Geographic information is also collected to facilitate data mining and vigor analysis. Vigor refers to the growth rate of a grapevine, which is affected by many environmental factors such as soil, fertilizer, weather conditions, pests, and so on. Both high vigor and low vigor can be damaging to the wine production process, so it is important to strike the right balance in order to achieve optimum quality grapevines. The app keeps a central record of every single step of wine production throughout the year, with data being updated in real-time. When walking through the vineyards, Chandon checks the work order history by scanning the QR code tagged to each lot. This streamlines the decision-making process enabling winemakers to analyze the grapes before harvesting, freeing them from laborious administrative tasks. Winemakers and Vineyard managers can now spend more time on making even greater wines. Chandon Argentina was born from the visionary spirit of Count Robert-Jean de Vogüé, President of Maison Moët & Chandon in the 1950s, which earned them a royal warrant as supplier of champagne to Queen Elizabeth II and a reference in the hit single Killer Queen. Realizing that other wine regions than Champagne could produce quality sparkling wines, he mandated the oenologist Renaud Poirier to find, around the world, the “terroirs” with the best potential. 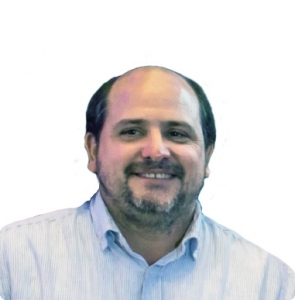 His journey took him to Mendoza, a renowned wine region of western Argentina. The sandy-clay soil, the great thermal variations between day and night, and the semi-desert climate offer optimal conditions for producing remarkable wines by their concentration, their structure and their balance. This is how Chandon Argentina was born in 1959. Benefiting from 270 years of Moët & Chandon experience, the estate combines traditional French savoir-faire with the excellence and diversity of Argentine soil: by blending a wide variety of grapes from terroirs in the region, Chandon Argentina produces wines that are internationally-renowned for their harmony. The terroir of Chandon Argentina, located at the foot of the Andes Cordillera, has unique assets to produce exceptional wines. The altitude of the vineyards, between 980 and 1,500 meters, offers wide thermal amplitudes all year round, with average temperatures being generally cool. These conditions give more acidic and less sweet grapes, and therefore fresher and lighter wines, important characteristics in the production of sparkling wines. Given the clay-sandy nature of the soil, the vines have to root deep into the ground to find the necessary water: the vines then deliver larger grapes concentrated in tannins, which give the sparkling wines intense, fruity aromas. LVMH is a worldwide luxury conglomerate with global sales of over €42.6Bn in 2017. It is home to 70 distinguished Houses, which create products that convey savoir fair and preserved heritage while remaining firmly modern. True to tradition, each of its brands builds on a specialty legacy while keeping an unwavering focus on the exquisite caliber of its products.